If your child is struggling to read or finding it difficult to remain on task, the cause may be an undetected vision problem, even if your child’s eyesight is 20/20 and he’s passed the school’s vision screening or a routine eye exam. In the video below, Dr. Beasley describes some of the most common symptoms of vision based learning problems seen in children. For success in school, children must have other equally important visual skills besides their sharpness of sight, or visual acuity. They must be able to coordinate their eye movements as a team and follow a line of print without losing their place. They must also be able to maintain clear focus as they read or make quick focusing changes when looking up to the board and back to their desks. And they must be able to interpret and accurately process what they are seeing. 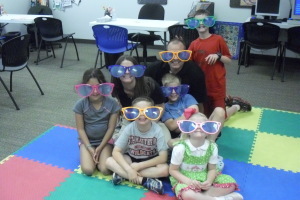 One of the goals of this website and our practice at All Ages Vision Care is to educate parents and teachers about frequently overlooked vision based learning problems in the hopes of helping those children who struggle unnecessarily because they go undiagnosed. In fact, many of these children are often suspected of having learning disabilities like dyslexia or attention deficit disorder when the real culprit is their vision. A vision based learning problem directly affects how we process information, read, or sustain close work. All Ages Vision Care team members with patients. Patients with eye teaming, tracking, focusing, visual motor integration, and visual perception problems have weak visual skills which undermine the learning process and can cause such problems as difficulty reading, double vision, headaches, eye strain, and short attention spans. 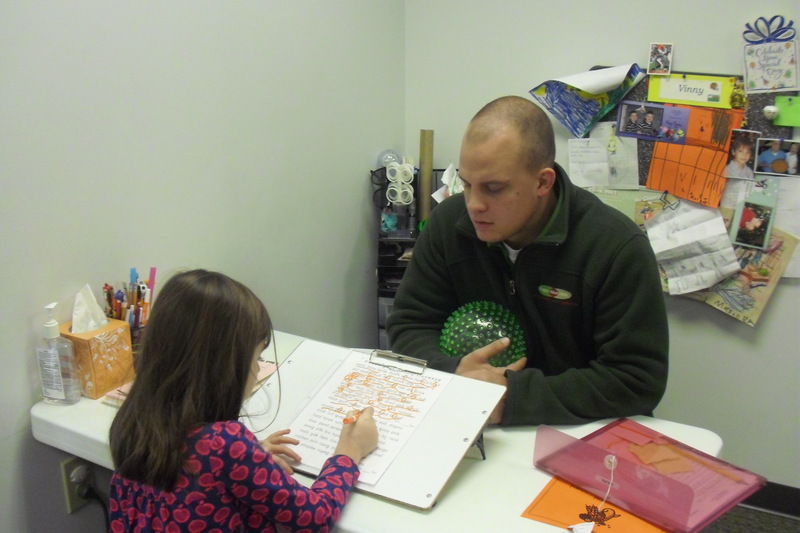 For these patients, vision therapy improves their visual skills so they can function normally in the classroom. Patients with crossed, turned, wandering, or lazy eyes only see with one eye at a time. Their brains suppress or “turn off” their weak eye. Therapy is designed to straighten the eye and teach the patient to use both eyes together for normal visual function. The encouraging news for parents is that vision therapy is very effective in treating vision based learning problems. Be aware that school screenings and pediatricians only check children’s distance vision using the eye chart. They can’t run the specialized tests required to determine if a child has all the visual skills he needs to succeed in school. Special near-point tests must be done by a developmental optometrist in order to identify and diagnose the problem. We can help you here at All Ages Vision Care. Learn more about vision therapy and ADD. Learn more about vision therapy and Special Needs.